A decorative wall decal for your newborn. 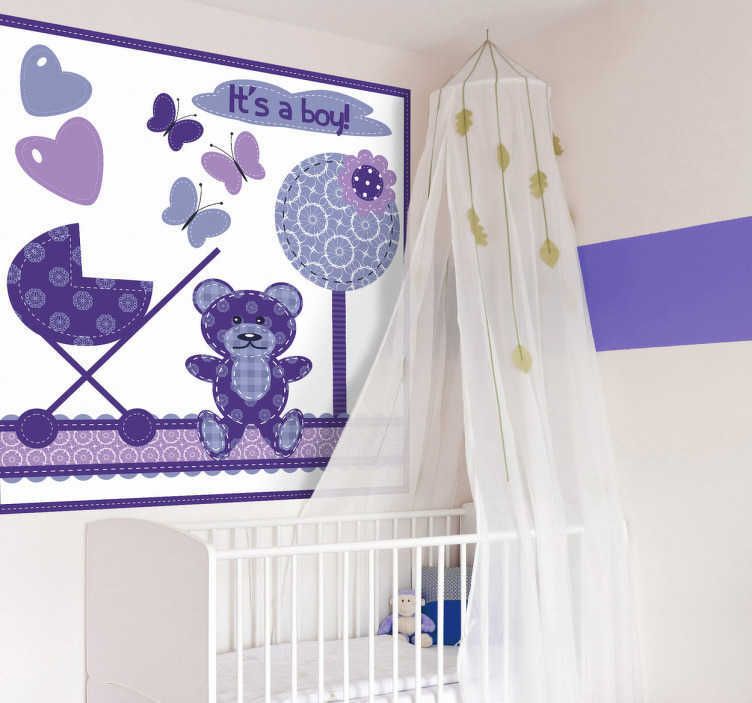 A fantastic design from our set of purple wall stickers to decorate their room and make them feel welcome. A sticker full of objects that your baby will love! Balloons, butterflies, a teddy and a purple effect to make your walls look bright and create a peaceful atmosphere. This sticker is available in different sizes. Easy to install and remove. Easy to apply and remove with no bubbles!